It’s one of the questions of our age. No, not how do we stop global warming or tackle world poverty, but does the venerable ECM label have a sense of humour? Even a tiny bit. Well you may contend that an inanimate object is unlikely ever to have a sense of anything, but as we’re all guilty of conferring human qualities on our most cherished pets then why not ponder on whether the label that brought us such pieces of art as Afric Pepperbird, The Köln Concert, Officium and Khmer has a funny bone, or not, as the case may be. Mostly ECM as everyone knows is about the deadly serious making of music, although there is brooding and there is downright blatant moodiness and there’s many an ECM album that could do with a little bit of lightening up. Someone close to producer and label founder Manfred Eicher, even the great man himself, must have thought we have to loosen up. So step forward the perfect man for the job: Enrico Rava. 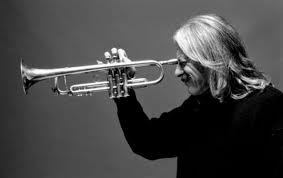 That may explain the unlikeliest ECM album ever with the silver haired lion of Italian jazz, an icon of the 1970s European avant garde with a wonderful fractured trumpet style, recording Rava On the Dance Floor with the Parco della Musica Jazz Lab live in the Eternal City last year. Then again it may not, as Rava explains that after Michael Jackson’s death he bought all Jacko’s CDs and DVDs and really got into him: “I felt the need to delve more deeply into Michael’s world." 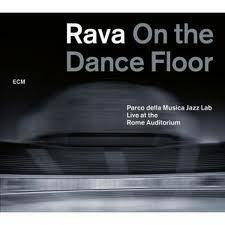 And so for whatever reason Rava On the Dance Floor was born, nine tracks with nearly all the music Jackson’s, plus one of the singer’s favourite songs Charlie Chaplin’s ‘Smile’ and Rod Temperton’s ‘Thriller’ thrown in, of course. Well you’ve got to laugh, it’s the wackiest thing Rava’s ever done and while not as risible as say a jazzed up collection of ABBA songs it’s pretty lightweight stuff which feels like dad dancing with the lights on at a disco in Romford, or should that be Rimini, on a Tuesday night. Not that there’s anything wrong with that, within reason. The band give it a shot and there’s plenty of beef from the trumpets neighing and carrying on in ‘Thriller’ and sentimental tenderness on ‘Smile’, a tune that’s impossible to dislike. It’s not as if the album is an attempt either to reimagine Michael Jackson, surely Miles Davis did that better than anyone when he did ‘Human Nature’, or invest the music with such import as if every note was like a massive statement. That would have been fatal and actually you come away from this thinking, that Enrico Rava, bit of a groover. You can’t help but throw your head back and laugh at the opening to ‘Privacy’ say. So there we have it, the Italians make Manfred and the rest of us smile. Who would ever have thought it, no not even Manfred. The first striking aspect of this 2-CD set recorded during a five-night run at the famed New York club in February is the superb sound engineering of the album. So take a bow Tyler McDiarmid and Geoffrey Countryman. 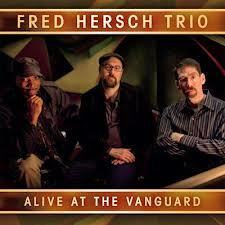 But good sound is only the icing on the cake of any album truth be told, and the trio of the 56-year-old Hersch, who has battled the effects of HIV for many years and has even survived a two-month coma, is on superlative form, along with bassist John Hébert and drummer Eric McPherson who both played in Andrew Hill’s last band, on this album of seven new Hersch tunes, four from the Great American Songbook’s panoply of treasure, and seven jazz standards, the latter including ‘Softly as in a Morning Sunrise’ which John Coltrane recorded in the Vanguard in 1961. So no pressure! 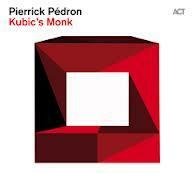 Towards the end of the first CD on the penultimate track Hersch’s playful version rewards its inclusion and is a clear highlight overall, although the sandwiching of Russ Freeman’s ‘The Wind’ into Alec Wilder’s ‘Moon and Sand’, with its softly lapping ebb and flow on the second disc, which also has another clever segueing of ‘The Song Is You’ and Monk’s ‘Played Twice’ at the end, comes movingly close. Wonderfully woody bass, drums you’d swear you can hear the skin’s very wrinkles of, and deep expressive improvising drawing out the fertile ideas in Hersch’s head, make this a must for fans and more than worth the purchase price for Hersch newcomers alike. It’s a piano trio that has no fussy gimmicks, no pop or rock sensibility at all, but is never pretentious in a cod chamber goulash. 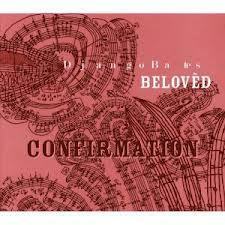 A wonderful album, that works because it has a cleverly assembled narrative arc disc-by-disc (the second is less intense but possibly more organic than the first) capturing a master pianist at the top of his game presented by the admirable Palmetto, a record label that values taste and presentation over the fast food approach of certain very famous jazz megacorporations. No one ever named a ballad ‘The Takeover’, did they? 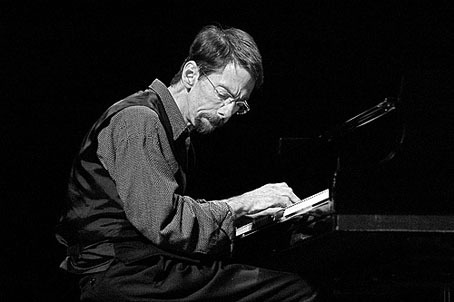 Fred Hersch plays solo at the Purcell Room in London on 2 October; The Apex, Bury St Edmunds (3 Oct); St George’s, Bristol (4 Oct); Turner Sims Concert Hall, Southampton (5 Oct); The Edge Arts Centre, Much Wenlock (7 Oct); The Venue, Leeds College of Music, Leeds (9 Oct); Royal Northern College of Music, Manchester (10 Oct); The Church of St John the Evangelist, Oxford (11 Oct, note new venue); and Queen’s Hall, Edinburgh (12 Oct). An accountant by training who used to manage the Jazz Cafe and The Forum for promoter Mean Fiddler, has opened a new jazz venue in London’s Herne Hill. 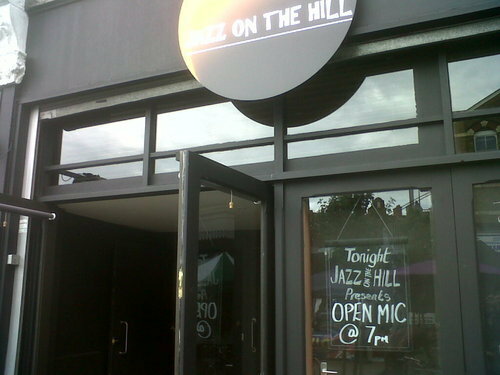 Tony Dyett opened Jazz on the Hill, a smart street front cafe bar with good sight lines on Railton Road very close to Herne Hill station in late-June, and it all got underway in some style with a range of high profile jazz acts. With bookings now under the personal remit of Dyett the cafe has an eclectic Caribbean-style menu and presents jazz on Thursdays, Fridays and Saturdays with open mic nights on Sundays and weekly blues nights on Tuesdays. Dyett says the Herne Hill area is in need of a jazz club and already locals are looking to the club as a regular haunt. It’s on the site of a former night club and the Poet’s Bar but Dyett and his team have made a series of much needed alterations, including moving the bar further to the right, removing stud walls and relocating the kitchen. Jazz on the Hill is working with local visual artists mounting exhibition space at the front of the club and at the rear for regular art exhibitions, and a relationship has also been established with the local Sunday farmers market with jazz becoming a soundtrack to activities on the street as shoppers sample the local traders’ wares. There’s no house drum kit just yet, and the piano is a modest upright but with good sound, attractive decor and an easily accessible location, Jazz on the Hill adds considerably to the profile of jazz in south London with Hideaway in Streatham not far away, already a major draw. 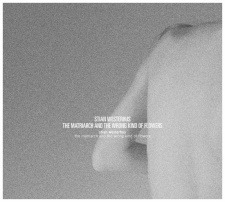 Westerhus is the Nordic jazz cognoscenti’s guitarist of choice, and this album more than explains why. Just guitars and voice the ex-Fraud and recent Nils Petter Molvaer sideman pulls off a formidable coup with this tantalisingly anti-chillout excursion. The Terje Rypdal of his generation it’s clear, Westerhus slowly unfolds slabs of sonic sophistication in a masterfully unhurried style. Three years on from their first album, and still keeping Charlie Parker as honorary inspiration, Django Bates, Petter Eldh and Peter Bruun, joined by Ashley Slater on Bacharach/David’s ‘A House is Not A Home’, are on dazzling form with an album that’s sure to delight longstanding Django fans. It’s complex for sure, relevant to the bop tradition just like the first album, but with a warmth and curiosity that has a life force all of its own. Head straight for the hucklebuck meditation, ‘Now’s The Time’, but Slater’s lounge-sleazy vocal is also a big plus. 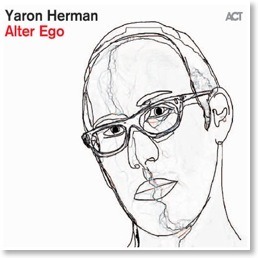 With pianist Yaron Herman in trio mode I have often felt he’s a musician in search of a band. Expanding to a quintet here he’s finally found a better expression for his huge talent. Go down to the beautifully revealing ‘Mechanical Brothers’ for a great piano-led beat cooked up along with bassist Stéphane Kerecki, leading into suitably dank and drizzling saxophone from highly promising Kansas City altoist Logan Richardson and Herman’s long time playing colleague Emile Parisien.